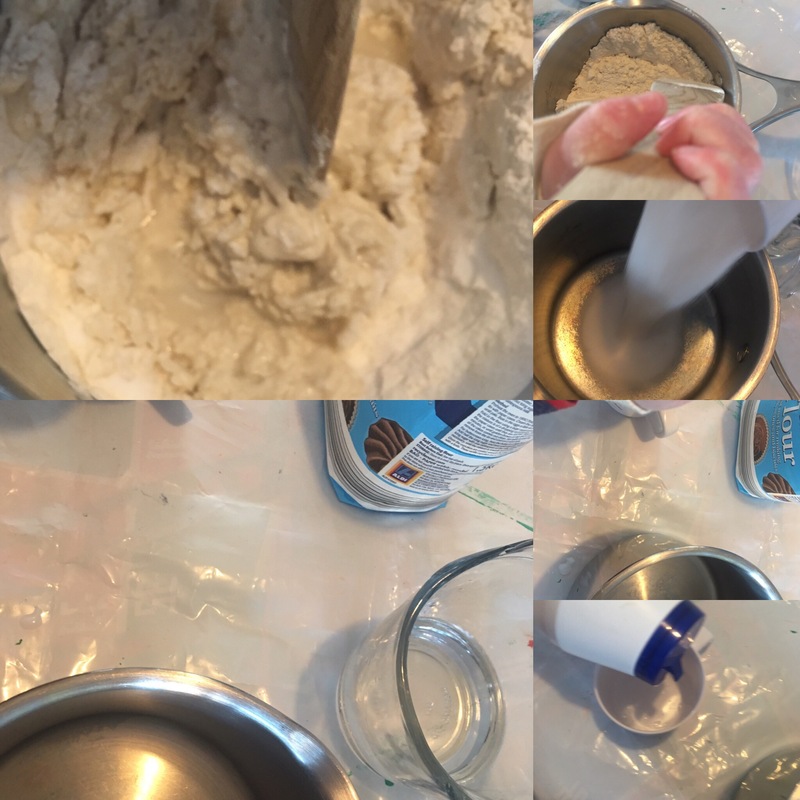 I love making and painting salt dough with children, it’s a great sensory experience for them. It also make children feel very proud as they can do it all by themselves (minus taking it in & out of the oven!) and they can show off their wonderful keep sakes at the end. 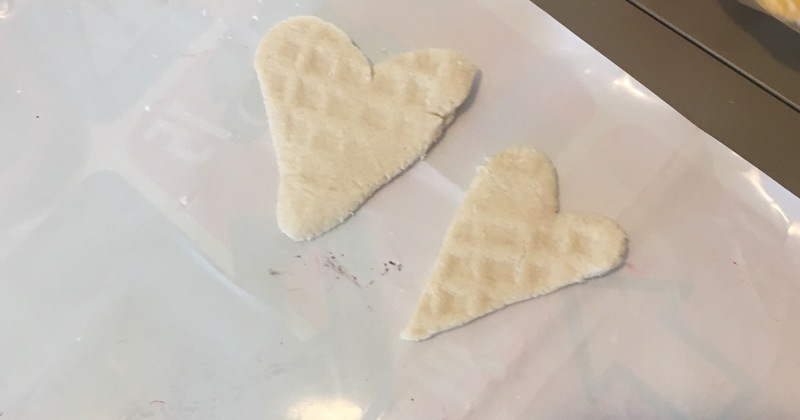 These heart salt dough creations make lovely gifts. We did these for Valentine’s Day, but there’s no reason why they can’t be made every other day! They are also a brilliant opportunity for productive sensory play, which can be very therapeutic for many children. Which Skills Does it Develop? 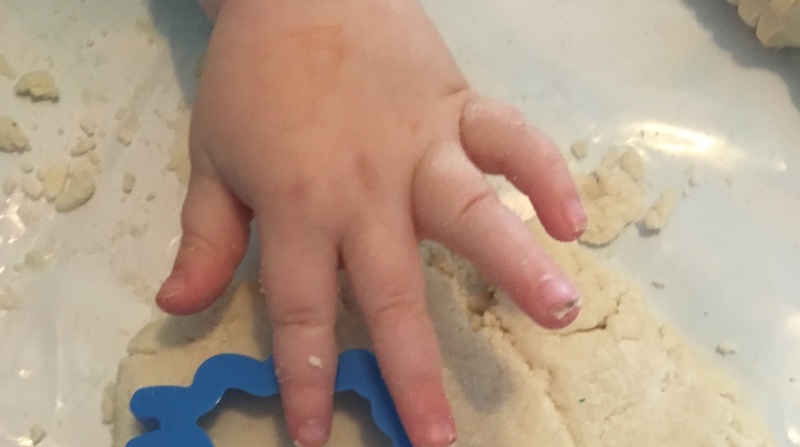 Hand Strength– Because of the kneading, squashing and moulding of the salt dough- it’s also a brilliant activity for developing hand strength- an important factor in learning to hold and use a pencil. Hand strength and fine motor skills are vital for learning to write. 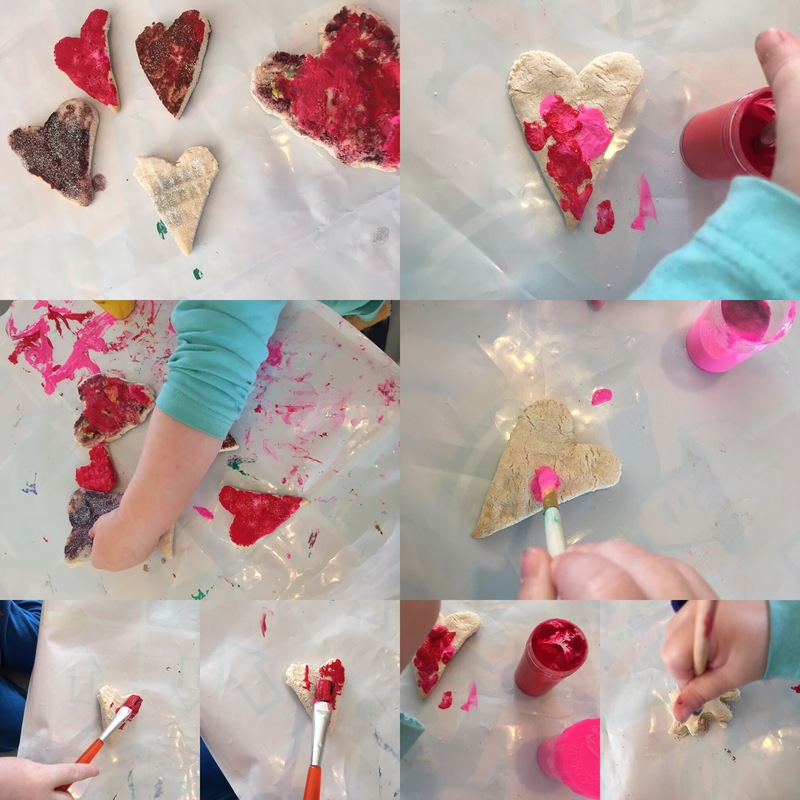 Creativity– Fantastic activity for developing creativity and imagination when deciding how best to paint their salt dough creations. Once dried and cooled- enjoy painting! We found poster paints worked the best. These look lovely. 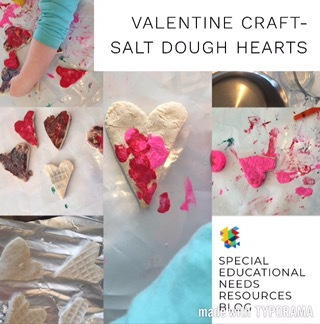 The kids used salt dough when they were in nursery but we’ve never done it at home – I didn’t realise how easy it was to make! Thank you! So easy aren’t they- definitely worth trying. What lovely and simple ideas!